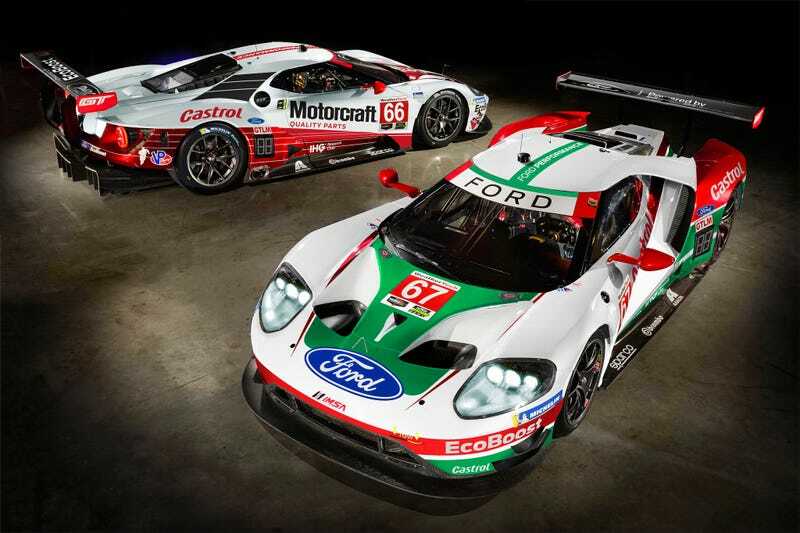 Mustang GTO throwback and Castrol liveries adorn these IMSA-bound Fords for the Rolex 24 at Daytona. What took them so bloody long? Their 2019 WRC car also looks good.